Elegant Blue Teal Abstract Modern Foliage Leaves Pattern has many layers of design creating harmonious texture of complexity within this structure. This turquoise latticework involves varying shades of cyan, azure, powder blue and teal. White, black and light blue create definition between its different design components. This pattern is a balance of exquisite intricate design of shape and color. Elegant Blue Teal Abstract Modern Foliage Leaves Pattern has many layers of design. Thus it creates harmonious texture of complexity within this structure. Then the turquoise latticework involves varying shades of cyan, azure, powder blue and teal. White, black and light blue create definition between its different design components. Elegant Blue Teal ModernAbstract Foliage Leaves Pattern is a balance of exquisite intricate design of shape and color. Exciting, luscious shades of sapphire, cornflower blue and sea green. So then iris blue and green pulsate throughout this grid of leaves. Then it has a beautiful radiating light along the contour of the curved squares that surrounds each vibrant center. It’s bursting with huge spectrum of vibrant blue and green colors. Hexagons, circles, diamonds, curved square, lines, curved triangles and more create this geometric matrix. In Elegant Blue Teal Abstract Modern Foliage Leaves Pattern the light pulsates through this open lattice reminding one of the tropics. Leaves and foliage burst through this pattern. 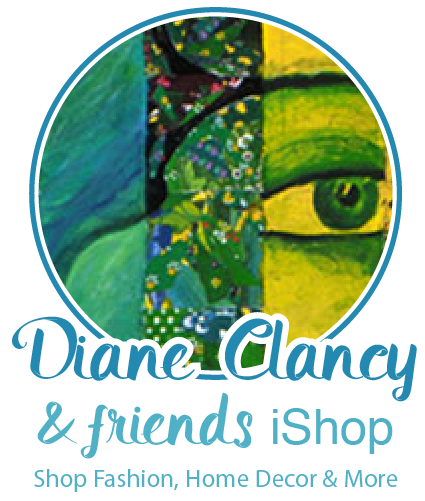 To see all products from Diane’s RedBubble shop CLICK HERE.